This impacts case study shows how our work has prompted a radical overhaul of the Charity Commission and how the evidence we presented helped strengthen the Protection of Charities Bill. It is one example of financial or non-financial benefits realised in 2014 as a result of our involvement, all of which are set out in our interactive PDF. 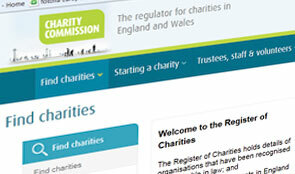 We have published three reports on the Charity Commission in the past 14 months, which have prompted a radical internal overhaul of the Commission itself and new legislation to plug gaps we identified in the Commission’s statutory powers. Following NAO and Committee of Public Accounts criticisms in 2013, the Commission recruited a new CEO, revised its regulatory strategy, developed a new business model and launched a 3-year change programme. We are also credited in the foreword to the draft Protection of Charities Bill as identifying some of the legislative gaps the bill seeks to address. We gave evidence to the Joint Committee carrying out pre-legislative scrutiny of the bill. In its final report, which backs the bill’s proposals, the committee made more than 50 references to that oral evidence and our reports on the Charity Commission.